Building the capacity of environmental law professors and teachers in Asia and the Pacific is crucial to sustainable development. Achieving the Sustainable Development Goals (SDGs): Law as Part of the Solution is a theme designed to enable both established and emerging scholars in environmental law to contribute, and which meets their common and different needs. This program will certainly stimulate and enables creative interaction among diverse scholars. Thus, this Annual Distinguished Scholar Oration will be prestigious, informative, and interesting for the diverse scholars who make up the Academy. The inaugural ASEAN Animal Law Conference will commence the discussions about the ethical treatment of animals in ASEAN member countries. The Conference will examine the ethics, law and policy on animals in ASEAN, and also look to international comparisons to develop laws and regulations on best practices for animal welfare. Law professionals representing institutions from Nepal, Bangladesh and Bhutan will be trained at the 9th In-Country TTT workshop. The TTT Regional Network is invited to participate in the 1st International Conference on Law, Environment and Society - Nature and the Law that will be held in the Faculty of Law, Universiti Kebangsaan Malaysia on 13-16 November 2018. This conference offers a unique opportunity to researchers, academicians and students to present and share their research work through an online platform. The war on wildlife started when we lost our deep connection to nature. When humans moved from a nomadic existence of hunters-gatherers to an agricultural life, we lost our dependence on the healthy ecosystems we once needed to survive. Wild animals were seen as pests that could destroy crops or threaten livestock. Forests were cut down to make space for plantations and grazing areas. The Pacific is one of the few places without a legal framework to resolve cross-border commercial disputes through international arbitration. This stifles the growth of its economies, as a credible dispute resolution and enforcement regime is fundamental to their ability to attract foreign direct investment and trade with countries in other parts of the world. The gigantic Belt and Road Initiative (BRI) has profound implications, and not just for the economies it will encompass. It will also transform legal systems, as participating countries work out how to ensure contracts to build huge infrastructure projects are implemented and completed on time and without dispute. The widespread loss of natural ecosystems and biodiversity is much more than a conservation issue; countless lives and livelihoods depend on them. Jawaharlal Nehru Institute of Advanced Study (JNIAS) invites researchers from all over the world to share their research in natural sciences, social sciences and humanities as a JNIAS fellows. They are invited for minimum two months and maximum one year as they are provided free of cost hosting facilities at JNIAS. Foreign researchers must submit a project on which they intend to visit JNU, along with an application and timeline of their study. The selection for the fellows is done by a professional committee appointed by the University. IUCN is seeking legal experts from Kenya, Mozambique, South Africa, Thailand and Vietnam to undertake an assessment of legal and policy frameworks related to addressing plastic pollution affecting the marine environment. This call is part of Stockholm University’s strategic inter-disciplinary initiative in environmental research in human science, which comprises environmental humanities, law and social science. In a broad sense, this research aims to understand and explain the relationship between human beings, society, environment and nature from a range of theoretical, empirical and methodological traditions and perspectives. Interested in helping shape and reform law and policy to address Illegal Wildlife Trade (IWT) in the Philippines? ADB is seeking international and local firms/groups to work on amendments to the Wildlife Act, and support implementation of the Wildlife Law Enforcement Action Plan (WildLEAP) lead by the Department of Environment and Natural Resources (DENR). The deadline for expressions of Interest is 13 July 2018. Pathways to Sustainability is a new programme aimed to stimulate innovative research into sustainability issues at Utrecht University. Pathways to Sustainability adopts “rigor meets relevance” as its guiding principle – aiming at promoting interdisciplinary research and transdisciplinary collaboration with stakeholders. Our aim is to reposition the University in its endeavour to facilitate the transition towards a sustainable society. Camena Guneratne obtained an LL.B from the University of Colombo, an LL.M from Harvard Law School and a PhD from the University of Waikato, New Zealand. 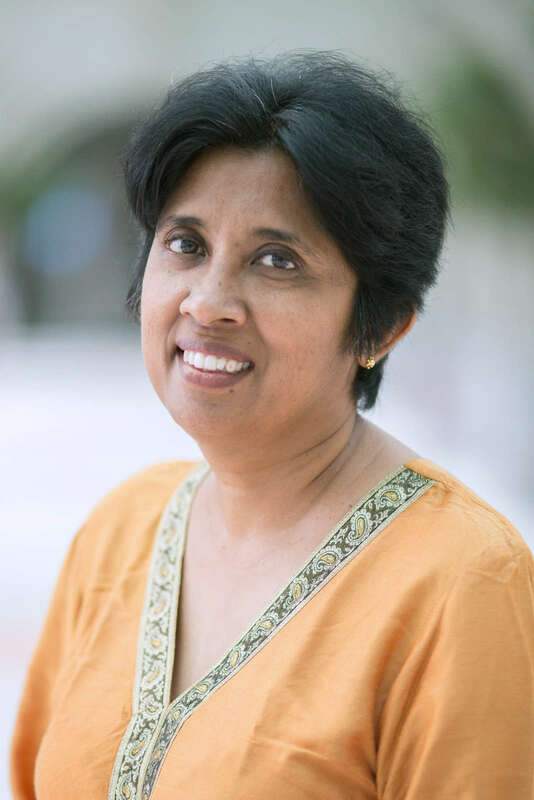 She is currently Professor in the Department of Legal Studies and Dean of the Faculty of Humanities and Social Sciences of the Open University of Sri Lanka. Law professionals representing institutions from Bangladesh, Nepal, and Bhutan were trained at the 9th In-Country TTT workshop.